What is peace? What do you think of when you think of peace? For most of us, we think of some vague feeling or concept, something that we “feel” that we may not even be able to explain what it is that we feel or experience. We think of the passage where it says that the peace that passes understanding will guard our hearts. So, for most of us, we associate peace with that “sort of” feeling. And that is great, but the only problem with associating everything with feelings is what about when we don’t “feel” it. What happens when we don’t have that feeling? Do we still have peace? Or joy or whatever? It says in Ephesians that peace is not a feeling or a concept, but it is a person. Jesus. 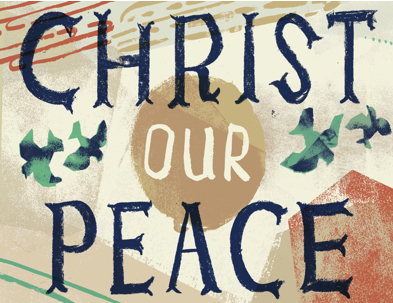 We are told today that Jesus is our peace. He guards our hearts. He is the one that keeps it all together. What does this mean for us today? Seek Jesus. If you want peace, don’t seek “peace.” Seek Jesus. Because here’s the thing. If you seek a feeling, you may or may not get it or feel it. It may not happen. But, if you seek Jesus, if you chase Him, if you are faithful to Him and seek Him, with your whole heart, you will find peace. Peace is not a feeling. Peace is a person. Jesus. He will guard us. He will keep us. He will save us. Today, don’t chase after that feeling. Chase after that person. Chase after Jesus. And you will find peace. Because He is our peace.